Visitors flock to our One happy island to easy body and soul, but there’s always room for more. Turn up the relaxation dial a few notches with one of Aruba’s unique spa experiences. The soft caress of the trade winds and gentle warmth of the Caribbean sun are the perfect complements to the soothing sensation of a relaxing spa service. The One happy island's open-air yoga studios and highly-trained instructors make yoga in Aruba a thoroughly rejuvenating and tranquil experience. Surrounded by tropical breezes and emerald waters, Aruba is home to the best Caribbean spa resorts and a wealth of luxury spa treatments offered in absolute paradise. 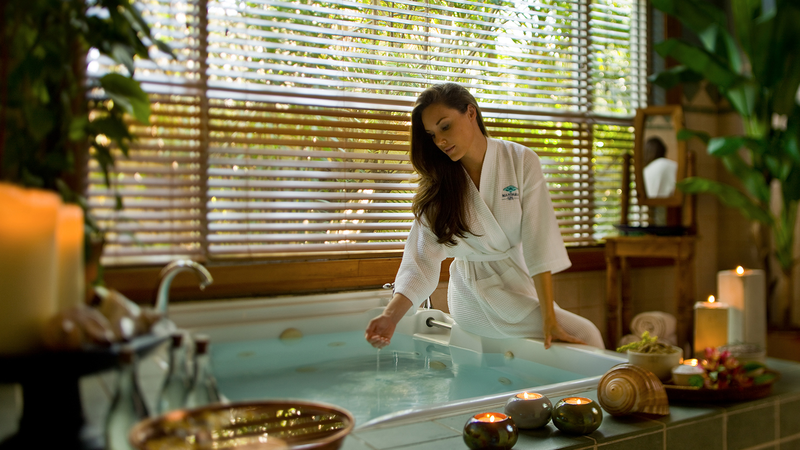 An Aruban spa holiday provides the ultimate ticket to relaxation, rejuvenation and serenity. Want a soothing massage in a bamboo cabana on the beach, a revitalising wrap accentuated by the intoxicating essences of lemongrass, juniper and orange blossom or a rejuvenating facial in a lace-draped retreat on a private island? The sky’s the limit when it comes to the experiences offered by Aruba’s best spas. While each spa exudes its own unique energy, they all present the perfect way to reclaim your sense of well-being via amazing à la carte treatments, as well as half-day and full-day spa packages. Surrender to full-body treatments such as shiatsu, Swedish massage, deep tissue massage, hydrotherapy, aromatherapy and body wraps, many of which incorporate the healing powers of locally-grown Aruban aloe. Indulge in skincare treatments, manicures, pedicures and paraffin treatments, or take advantage of extensive hair and makeup services. Whether you’re looking for some ‘me’ time or you’re planning a pampering outing with a group of friends, Aruba’s spas know how to make your experience unforgettable. Eforea Spa, Etnika Spa, Indulgence by the Sea Spa, Intermezzo Day Spa, Mandara Spa, New Image Spa, Okeanos Spa, The Orchid Spa, Pure Indulgence Spa, Purun Spa, The Spa at Tierra del Sol, Spa Del Sol, Vita Novus Spa, ZoiA Spa.